Between here (on the blog) and over on @QueenofOrg it’s been well documented that I thought the Easy Japanese Cooking Demo by Fiona Uyema was just fantastic. Since then I’ve made many a Japanese dish and the feedback has been very complimentary albeit not on the scales! I can’t think of a better way to spend this Friday night and I’m off to another demo just out the road from NCW in Ardagh. 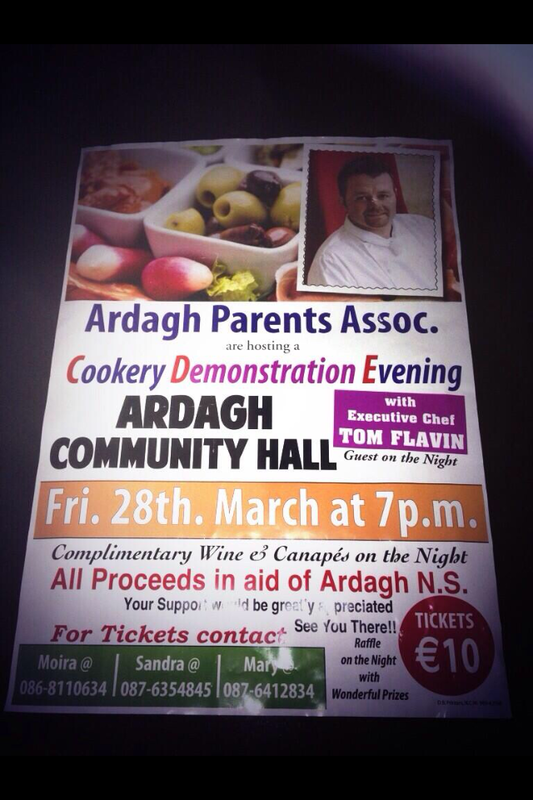 Tom Flavin will be cooking up a storm to raise money for Ardagh National School. Tom is Executive Chef at the Limerick Strand Hotel but this Friday 28 March he’s a Daddy helping to raise money for his kids’ school to buy lap tops. For a mere €10 you’ll get a glass of vino, some canapés and possibly a job that will not include the washing up. I have a few tickets to sell so give me a shout on 087 099 5741 if you’d like one. Oh and did I mention you also get to hear my dulcet tones as I am the MC for the evening. Eek! Where in ardagh is this taking place. No venue displayed in the ticket shown. Hi Catherine. 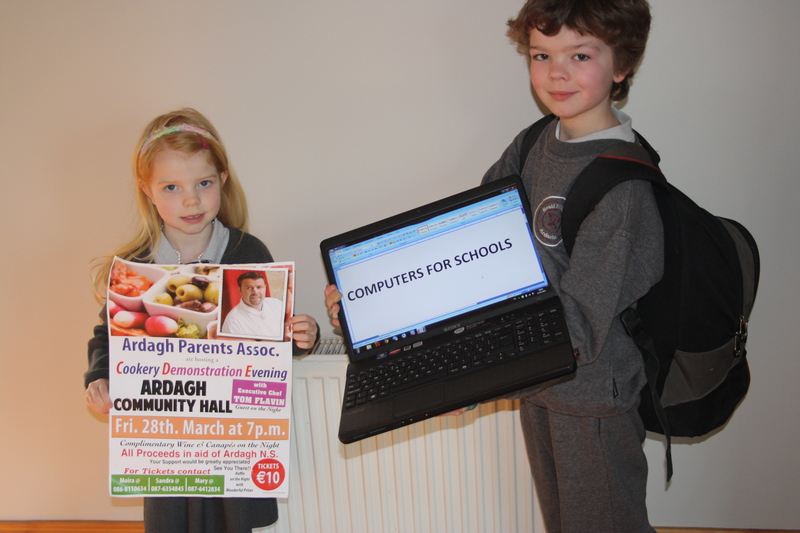 In the poster on my blog it says Ardagh Community Hall. Hope to see you there!